ReWA’s Domestic Violence Program has empowered thousands of women to recover from violence and live healthy lives that are full of possibility. 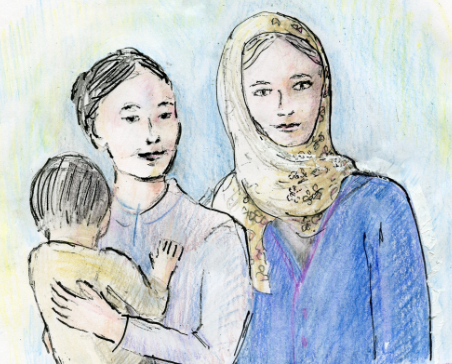 Like women in the U.S., refugee and immigrant women can be at risk for domestic violence and sexual assault. However, the circumstances of international relocation expose them to a number of additional vulnerabilities to violence. Barriers to seeking help such as social isolation, economic insecurity, lack of accessibility to services, and immigration issues, can result in refugee and immigrant women remaining in situations characterized by violence. Even though victims need help, they often have extreme fear of authorities, including representatives of social service, criminal and legal systems. ReWA strives to increase the safety and well-being of refugee and immigrant women by raising awareness of domestic violence, sexual assault and human trafficking and providing support to survivors.